This circular pendant from Posh Mommy makes a great gift for any of the Moms in your life. 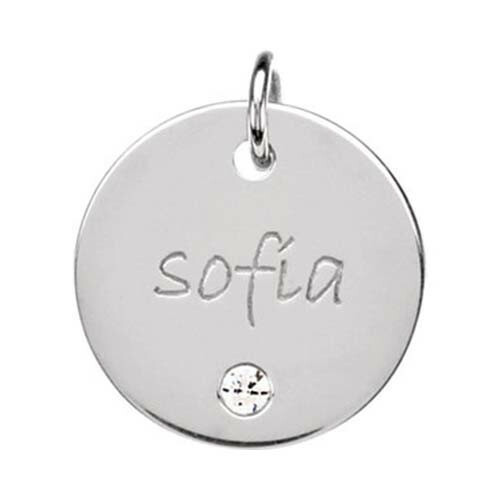 Crafted in sterling silver, it features a faux diamond beneath an engravable space with room for eight characters. Consider this pendant for the birth of a child or Mother's Day. A chain is sold separately.